Wrongly or non declared food contents create headlines. Accordingly discussions about food being wasted or incinerated are increasing. Why not distribute the food to regions where people are starving? Hybag technology offers another alternative : Depackaging the food and process it automatically to a valuable biomass for the production of natural energy: electric power and heat. One ton of foodleftovers ergetically correspond to 300 liters of heating oil! And, in addtion, the substrate at the end of the fermentation process can be returned to nature in form of bio-fertilizer. Hybag technologies allow the conversion to biomass of all organic waste: packed or unpacked, raw or cooked, solid or liquid. New profit potential for screenings. 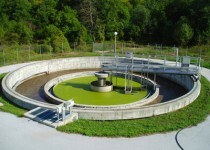 The screenings in waste water plants usually are pressed and incinerated. By doing so, valuable organic material is lost and the process creates high incineration costs. 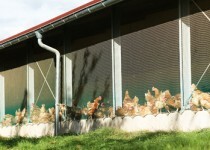 Hybag type Filtro reduces the incineration volume by more than 90% and increases the gas potential at the same time. Practical tests and applications as well as scientific analyses clearly show the advantages: As a rule, investments have a very short payback period. Interested parties should visit our short film. 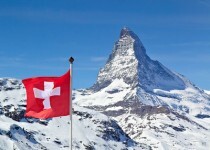 World leader in regard to ecology: Zermatt is one oft he world’s best known vacation and tourist resort. They board more than about 2 millions* guests yearly. Accordingly, much waste accrues. Since December 2012, organic waste is processed to a valuable biomass with Hybag technology. In a local biogas plant, the mass is processed into natural energy: electric power and heat. The remaining substrate at the end of the process is used as valuable bio-fertilizer by local farmers. Paul Julen, the initiator and project leader has put Zermatt on top of world resorts in regard to responsable environment managment. Green energy: a modern enterprise label! today’s society. Recycling instead of combustion, utilisation instead of disposal, deliberate energy saving and responsible contact with the environment, products and resources.